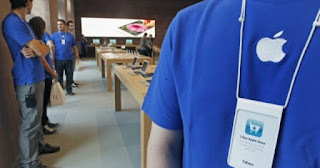 Working in Apple can be the dream of many , especially if you're a fan of the apple. 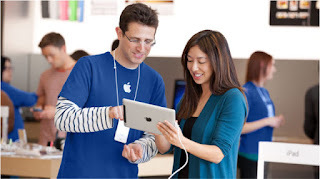 Apple offers several jobs currently in Spain and in all countries where there is Apple Store. Stores that have already turned 17 years old . But to get to work at Apple, you'll need more than just being fit for the job. Apple makes a scrupulous selection of its employees who must go through several interviews to get the job. This whole process is pretty secret, since Apple makes its employees sign a confidentiality agreement . There are many secrets to discover in the Apple Store . Even so, let's give some tips that may be useful if you are one of the lucky ones that Apple has selected. Apple offers a large number of jobs on its website . There they appear all the offered works and a description of the same ones. You can send the curriculum easily from the web itself. Once you send your resume, if you are lucky, you will have the first interview. This first interview will be through a video call , if you have Apple devices through FaceTime. In this first interview it is important not to lie and be yourself, something that is valid for any interview. It is not advisable to presume that you know a lot about their products, Apple does not really care that you know all their products and all their specifications . What they are interested in is knowing how you are as a person. You have to be friendly, nice and show yourself full of energy. If possible, talk about Apple as a company that cares about its customers, the environment or privacy . 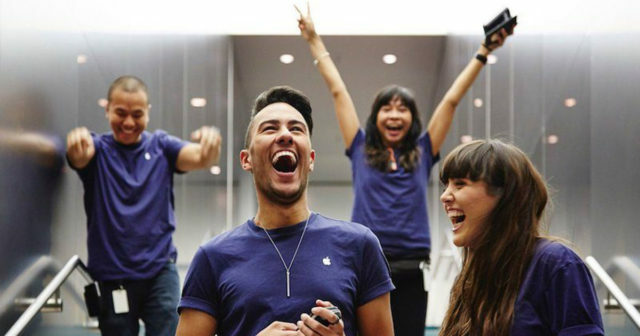 Apple employees listen to customer problems, so be able to build connections with them. This is not a technological job, it's something else. Of course they will also ask you about your hobbies, your current job or previous jobs , your responsibilities in them and if you work well in a group. If everything goes well and you go to the next phase, you will have a personal interview . In this interview you must show yourself the same as in the first one. It could also be in a group. It is important to be yourself and show that you are capable of solving any problem. Have you ever had an Apple interview?